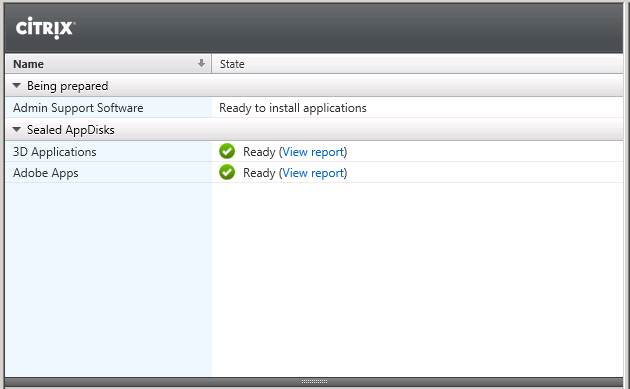 First try to delete the AppDisk through Studio by going to the AppDisks then the action Pane. Click Delete AppDisk. Deleting the AppDisk should start and you should be able to see the tasks if you open up vSphere Client and look at the recent tasks. If the AppDisk Failed to delete with the Citrix Studio Gui. Open PowerShell. After you change the reserve to false, go to Citrix Studio and delete the VM from your Machine Catalog. Then go to AppDisks and retry Delete AppDisk. I ended up just deleting the entire machine catalog since this was just for testing and its easy to recreate the catalog.